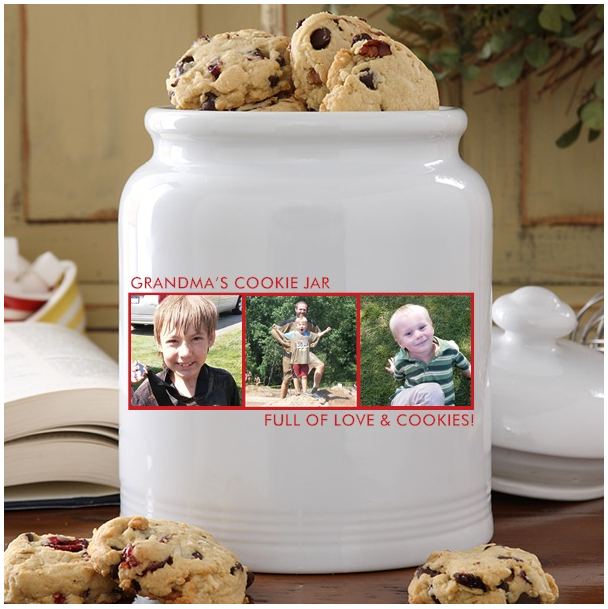 It is my firm belief most, if not all, of the people who read grandma's cookie jar are people who bake cookies - at least from time to time. So, I thought it would be fun to have a favorite cookie recipe contest . . . and arranged for a special prize for the person who shared the winning recipe. 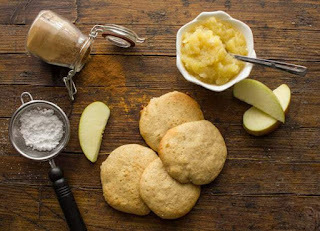 But, with only today and tomorrow to go, for submitting a recipe, only four people have shared a favorite cookie recipe. If you have been planning to share your favorite cookie recipe, and I hope you have, but just have not done so yet, you only have today - October 17, 2017 and tomorrow - October 18, 2017 to share your recipe. Please share your recipe today by copying and pasting it - or typing it in - to the comment section below this post. It is this simple to enter the contest. Voting will begin in a few days to select a winning recipe and whoever submitted the winning recipe will win a photo cookie jar of their own - a fun prize for sure! So, please, share your favorite cookie recipe today! Pre-heat oven to 400°, line 2 cookie sheets with parchment paper. Sift cake flour, baking powder, baking soda, cinnamon and salt into a large bowl. In a medium bowl cream together butter and brown sugar add egg blend about 2 minutes, add sifted dry ingredients alternately with the applesauce, combine until just combined. Drop batter by spoonfuls (about the size of a golf ball) on prepared cookie sheets, bake for approximately 10-12 minutes until lightly golden. Keep in cool dry place, best if let to sit for 1 day before eating. (If you can wait) Enjoy!